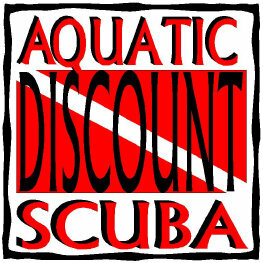 Aquatic Discount Scuba began in November of 1997. We are a small town shop focused on service. Our classes are kept small, usually no more than 4 students at time. Our instruction is centered around your learning style. We offer the traditional lecture classes but also provide self study and on-line classes. We schedule your pool and ocean classes to fit your busy schedule not to maximize the number of students we can get into a class. We are all about making you feel number one. While we have limited operational hours you can always call us and we will meet you at the shop when it fits your schedule. Our trips are focused on providing you diving with experienced staff to help boost your confidence and to make you the best diver you can be.